Part of my role as a social media manager is managing community & for one client I am in a number of Facebook Groups to find leads and answer questions. Today the question came up on how businesses either don’t have Facebook Messages turned on or they take a long time to respond. For the majority of people in this group, this was a major barrier to them using the business. 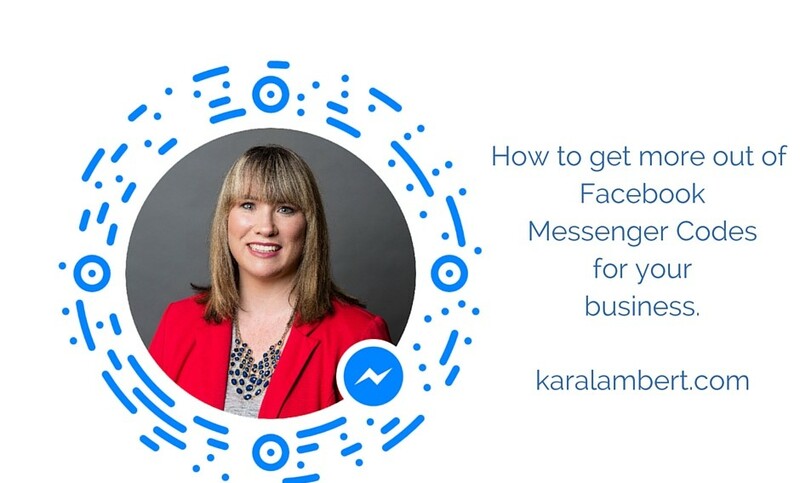 So I was wondering: why don’t businesses use Facebook Message? So I asked. So these fall into two main groups: technology & expectations. It seems that we have all turned in to Pavlov’s Dogs with the ping of our devices sending us running. We are now faced with the issue many businesses had 10 years ago with email. We are falling victim to FOMO (Fear of Missing Out). Sadly this is actually a chemical reaction. The good thing is that we can actually train our brains out of this with a few steps. Firstly, realise that you do not have to respond straight away. 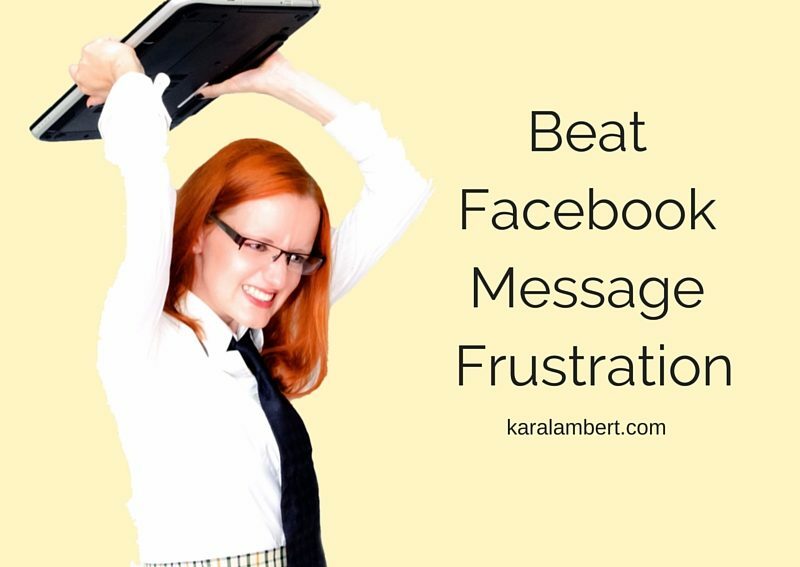 There generally isn’t anything so urgent in a Facebook Message that requires immediate attention. This will take a fair amount of self-talk, reassuring yourself that you don’t have to have that immediate knee-jerk reaction to the ‘ping’. Next, either turn the notifications off altogether in Facebook, on your phone, or as I did for about 6 weeks – just put your phone on silence. This removes the trigger for the reaction. You can then look at your messages when you choose, rather than when they are sent. Granted, this has become harder since Facebook introduced its gold star for their top students in responding to messages. But seriously, is it that important? What did customers do before the star was introduced (not to mention before Messages or even Facebook)? It’s what’s called in the industry a ‘vanity metric’. It looks pretty, but tells you very little about the actual value of the content. So why have it, well it’s another FOMO tool. So what’s my point? Business page owners, don’t be fooled and don’t get bent out of shape in your quest for the ‘holy messages grail’ – the gold star. Realise that you are able to look at & respond to messages when it suits you. In fact, I give you permission to look at and respond to your messages when it suits you. So I hear it already. Kara, what about that person who messages, then messages again an hour later, then again, and again, and again. First of all consider if they will be your ideal client, I bet they wouldn’t be. Now consider how you set their expectations on how you will see to their messages. If you jump at them like a terrier whose owner has just walked through the door, then they will expect that each and every time they message you (including 9pm Saturday). However, if you set up an auto-response that thanks them for their message and lets them know that you will respond between 9-5 Monday-Friday and aim to get back to them within 3 hours for simple questions and 24 hours for quotes, isn’t that a better way to set the scene? What if you responded, how I did for a client, thanking them for their message but asking them to email you so that you have all of your queries in one place and theirs will be addressed in order with all your other queries (humans actually behave remarkably well in queues). Or asking them to leave their contact phone number so you can call them and speak to them personally about how you can help them. (Sales can be easier to close on the phone than online) So what other benefit to auto-responders have? 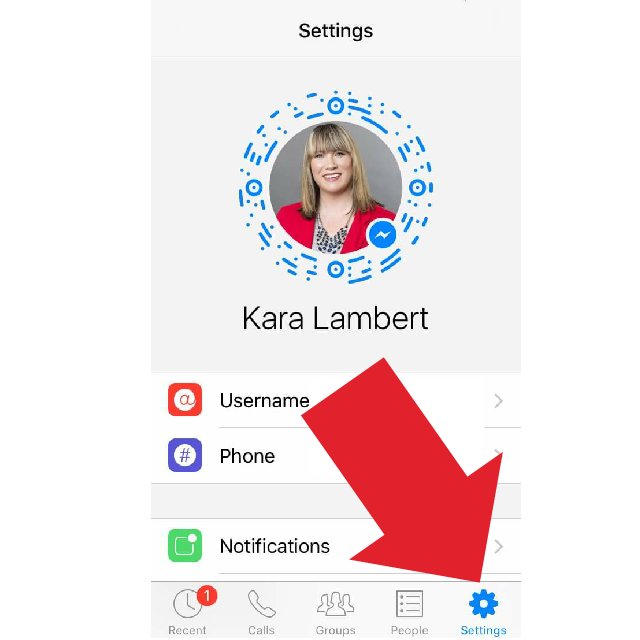 So other than it being like a personal VA, you are meeting the Facebook Messages time targets, setting expectations, and giving you that piece of mind for when your phone is on silent. 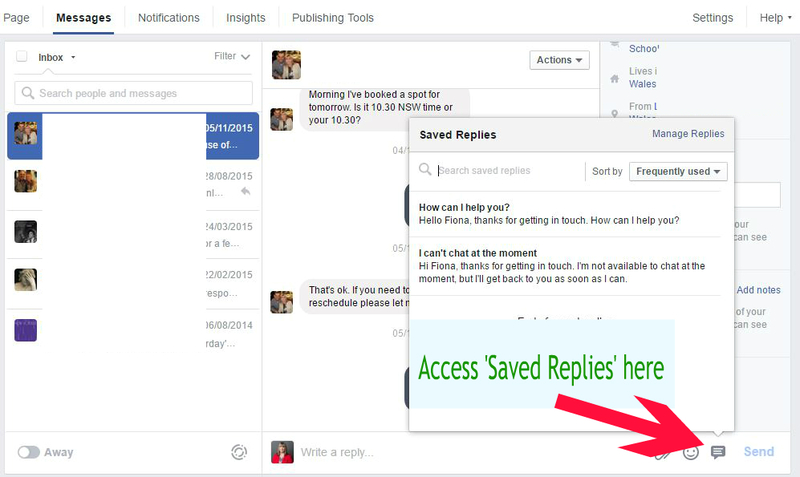 So how do you set up Facebook Message auto-response? 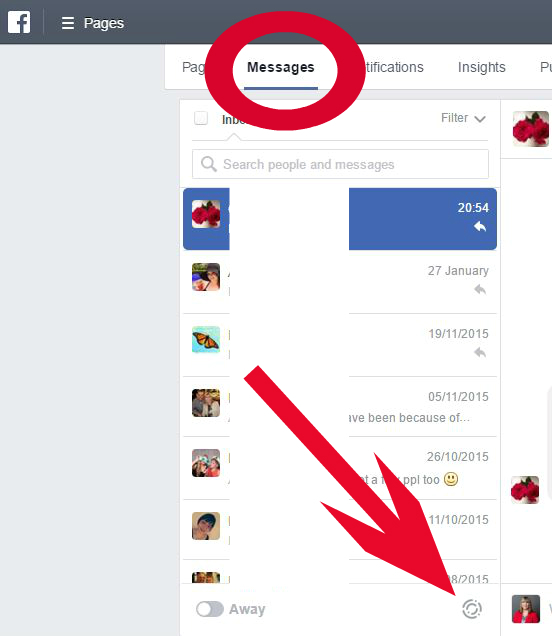 First of all you need to be in the Messages tab on your Facebook page (it’s up the top). Then you will need to look down the bottom of the Messages box. Facebook calls it ‘Saved Replies’ but it’s really where you set up your auto-responses. Click on the little speech bubble to access & set up your responses and this is what you will see. 1. 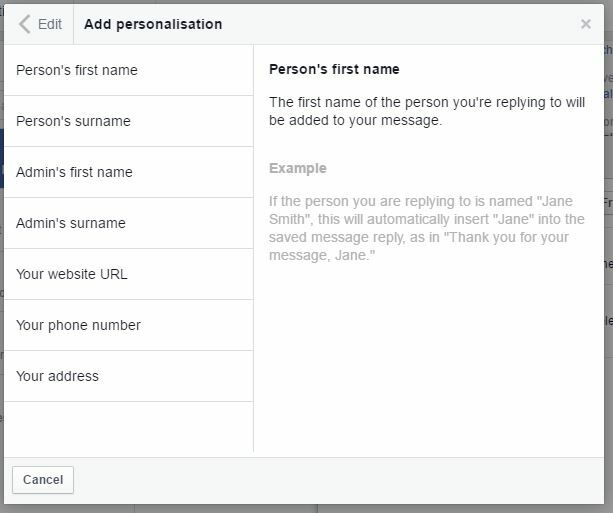 Facebook sets up two auto-responses for you. 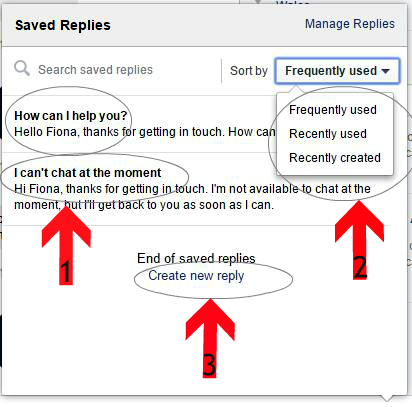 So, here’s a quick overview of how you create a new reply. Don’t forget to personalise your responses. While people might realise that you are sending an auto-response, by using their name you still make it friendly. 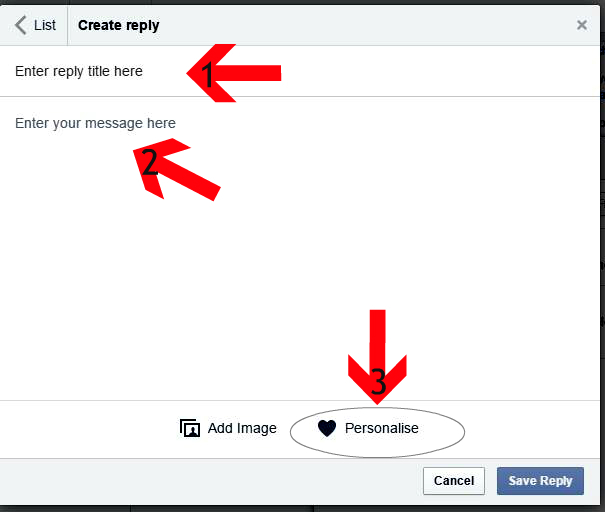 So here are the options you find when you choose to personalise your responses. So there are a number of ways there to address and redirect your enquiries. I hope this helped. I can also recommend reading my article on FOMO where I go deeper into why we feel like we are missing out and how we can reduce the reaction. Let me tell you a little story. My daughter does dance, yes that makes me a dance Mum. I spend around a thousand dollars every three months just on class fees. Don’t get me wrong, I’m actually not complaining about the cost (I know for some that’s cheap); what I object to is how I have to pay them. Ok, not the fact that my hip pocket cries a little tear – the fact that the dance studio doesn’t take credit card payments. Crazy I know! It’s actually not that strange for businesses to be cash only or take anything but credit card payments. The dance school says that it is because they don’t want to pay the fees. But then there are the emails about non-payment or late payment of fees. Sound familiar? I used to be one of these businesses that only took PayPal payments for products. I was forever chasing payments from clients who had used other services. It took days sometimes to recover small amounts of money. Sure I could have handed them over to a collection agency, but they really were small. I also wasn’t going to let these payments slide as these were repeat clients who did eventually pay. Let’s face it, it’s acceptable business practice to pay as late as you can. The money’s better off in your pocket than in someone else’s. Then there came a day when I had been chasing this payment for weeks and I had had enough. I added up the cost to my business of chasing this account, I was 10x-ing my invoices! Not good. Something had to give and it wasn’t me receiving the money. I had recently migrated to a new accounting package and noticed that I could integrate credit card payments with the invoices. So I did. Yes, I pay fees for accepting the payments but it has cut the time to receive payment and the number and length of time it takes to chase payments. So why do businesses still refuse to take credit card payments? The main reason businesses make it difficult for me to pay them. This is the main reason why business owners refuse to take credit card payments. Yes it costs to take credit card payments. Yes the greater the price of the goods or service the greater the fee you pay, but this doesn’t have to be the case. Here’s the thing. IT’S A BUSINESS EXPENSE. I think businesses (especially small businesses) get so caught up in maximising profit they forget that it’s ok and necessary to spend money to make money. The costs associated with accepting credit card payments are a pure business cost, the same as internet access, wages, printing costs, or electricity. While I understand that it’s important to maximise profits, ignoring the cost of collecting overdue accounts is a false economy. Imagine how much money you could be making during the time you are chasing invoices! The next largest complaint is the time it takes to receive the funds for the transaction. HUH?! So you want to tell me that chasing that unpaid invoice was either a better use of that time or faster? Let’s not mention how long it takes for a cheque or electronic transfer to clear. I understand that some card types can take over a month to be cleared into your bank account, but you don’t have to accept all credit card types. Ask your clients which cards they would like you to accept. What businesses miss because they refuse to take payments. When a business tells me that they don’t take credit card payments they are telling me that they don’t appreciate how I like to pay. For me, I will pay for the credit card fees for the convenience of you taking my credit card. It’s a selfish business practice. It actually shows that you care more for your needs than the needs of your customers. Is that really the impression you would like to give your customers? While it may not be explicitly said, consider the impact. Here’s another consideration, what if it’s a decision between you and another supplier and the only difference is that they take credit card payments and you don’t? 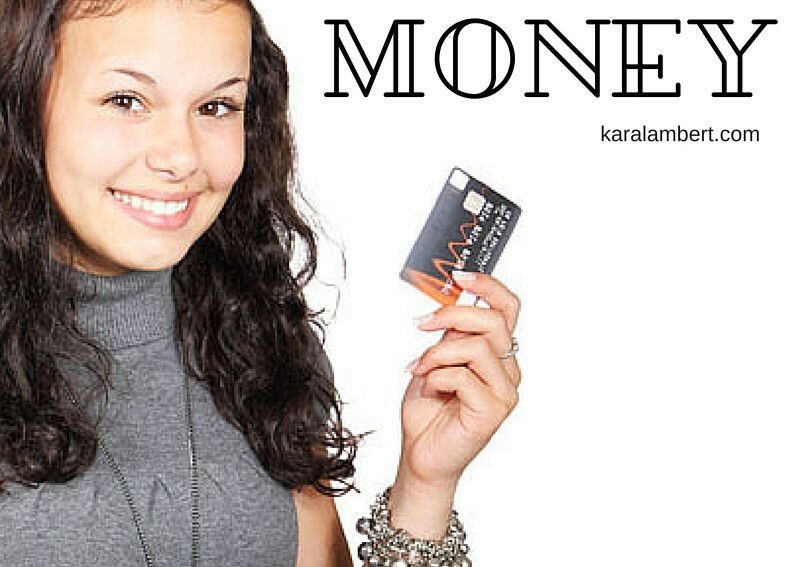 How much money are you missing out on because you don’t take credit card payments? So, with over half of clients wanting to use credit cards and customers actually turning away from businesses who won’t accept card payments, can you explain again why your business can’t afford the cost of credit card transactions? What are Facebook Messenger Codes? These are cute, round QR codes for Facebook profiles and pages. They offer another way for people to share their contact details. When scanned, the code will open up a Message with the scanned profile/page. Facebook Messenger codes are being rolled out across the platform. Eventually, all profiles & pages will have their unique identifying Code. On your Facebook Messenger App head over to the head (Android) or cog (iOS) and tap on it. There you will be greeted with your profile picture inside a circular QR code. But what about my page? Well you will actually need to be on your desktop to get your Page Messenger code. (Strange but true. Why is nothing ever straightforward Facebook?) Anyway, I digress. 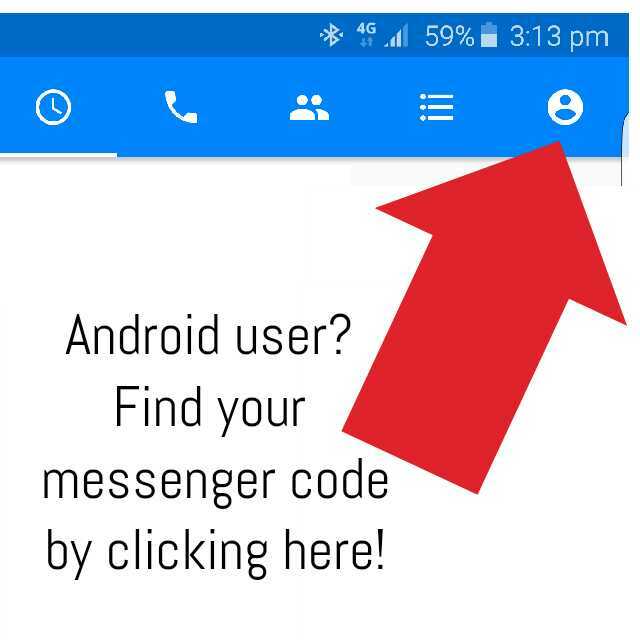 You will find your code by clicking on your Messages Tab on your page and it will either be at the top OR the bottom (again with the consistency Facebook) of your Messages. On the upside, you will always see it as a set of concentric circles and it’s on the left-hand side where the names of the people are. 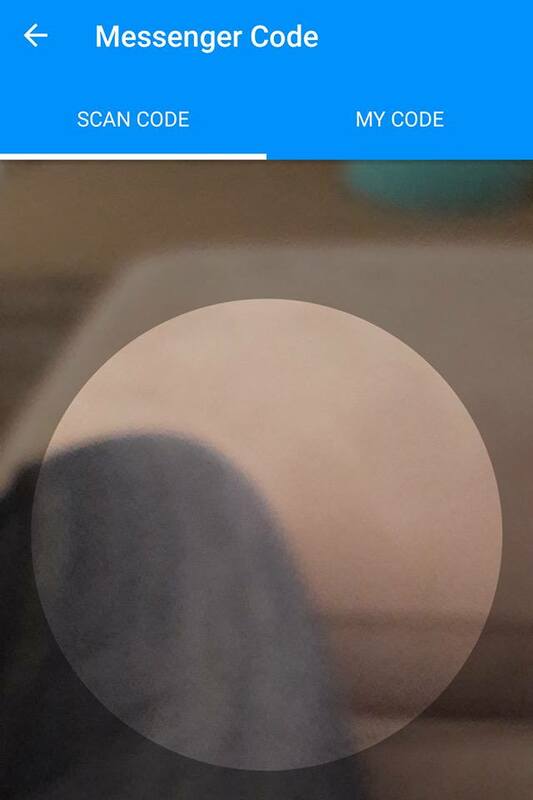 Click on the circle (when you find it) and your Page Messenger Code will start to download to your computer. How do I use my Facebook Messenger Code? Add it to your business card and other promotional material – including your contacts page on your website. Have your Facebook Page Messenger Code as your personal profile picture. Great for those who work a day job while they are also working in their own business as it’s an inconspicuous way to market. Having it as your profile picture also helps to market your business when you are posting in those Facebook Business & Networking Groups. Share it on other platforms, just as people share their SnapCodes on Twitter – share your Facebook Messenger Code around. How do I use someone else’s Messenger Code? Remember how I told you how to get your personal Messenger Code? Great! Now head back there and click on your face. (Weird I know) Up the top of the screen you will see the words ‘Scan Code’. Android FTW on this one as it is the default screen. 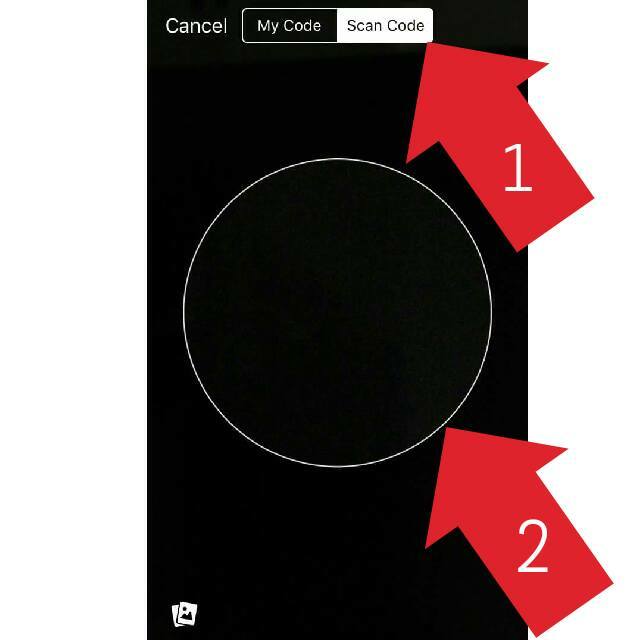 Anyway, you will see a circle appear, so line up the code you want to scan in that circle and bullseye you will launch Messenger with that person or page. 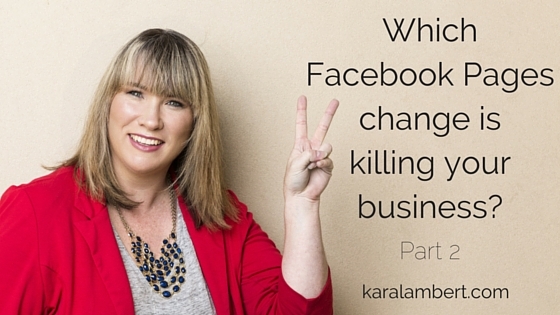 Which Facebook Business change is killing your Page? So I previously spoke about how Facebook had changed the access to parts of Facebook Pages not using the Facebook Business Manager (previously Facebook for Business). In this post, I am going in to the update and what it means to Facebook Business Page owners. What prompted me to write more about Business Manager? Well, a member of my Facebook Mastermind, asked me if there had been any algorithm changes as she had noticed that she was getting zero views on her posts. After a little searching and questioning I worked out that she was using the Pages App to do most of her posting, rather than the desktop. Then I noticed that the only page I manage outside of the Business Manager also had a downturn. Cue alarm bells! It is the Facebook platform that ties together the Facebook Power Editor Advertising platform with Facebook Pages. While you do not have to have an advertising account to use Business Manager, I believe it will soon be a requirement. If you manage multiple pages, then the business manager is a way to pull them in together and tie them in to one advertising account. Alternatively, it gives you one location to access all of your Facebook Ad accounts and pages without having, the Facebook Jail worthy, multiple accounts. My favourite thing about using the Business Manager is that it gets me out of the regular Facebook platform, away from the distraction of messenger, friend notifications, and my favourite pages. I use it because I manage other business’ pages. They will often ask me to run ads for them. This way I can use their Ad Account rather than my own. More than that, I actually like the idea that I am away from the distraction of the regular Facebook platform. Why do I think you should use it? It is clear to me that business pages who use the Business Manager platform will receive more views on their posts, than those who don’t. Those business owners who are not aware of the Business Manager will either give up on Facebook for their marketing, or will become one of the many who rely on Facebook Ads to reach their followers. Other than the changes I listed above and in my previous post, Facebook have (just this week) launched a redesigned and rebranded Facebook Business Manager. I don’t believe it is a coincidence, rather than a strategic move. If you already use the old Facebook for Business, now Business Manager, keep at it but I caution against posting using the Facebook Pages app as the reach isn’t as high. If you don’t, seriously consider starting up with Business Manager. Find it all too hard, let’s chat & we can discuss how I can help. Join this group to discuss how you grow your business on Facebook. 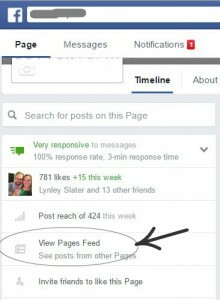 What happened to my Facebook business page? Ahhh Facebook! How you love to keep us on our toes! Why must they make these changes to how we use our Facebook Page??? This week, Facebook has rolled out some changes, no doubts to push page owners over to their Facebook for Business platform. The changes are making it harder for the more seasoned Facebook Pages owner to manage their page. Never fear! Here’s how you can get around it. Let me start at the start, since they dropped the ability to flick between your page & your personal profile. 2. Once you have clicked on “View Pages Feed”, you will be taken to this page; where you will be able to see the pages you follow, their posts (1 in the picture), and like other pages (2 in the picture). 1. On the post you wish to comment on as your page, go to the drop down on the bottom right of their post (1). 2. 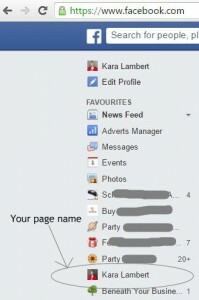 Find the name of your Facebook Page you want to use in the list and click on it (2). 3. 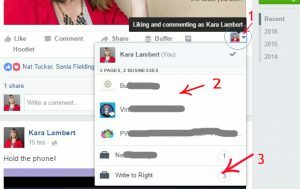 If you are using Facebook for Business, you will need to click on the group your page is in (3) and then repeat step 2 above. Lot’s of us love to use Facebook Messages and Messenger to communicate with our friends and pages. In fact, Facebook give us an indicator of how responsive (quick) Facebook Business Pages are in replying to our messages. You even get a speedy envelope if you’re quick enough! You need to be logged in as your Facebook Business Page (see above). Then you will see the following options at the top of the page; you will see how to access Messages in the picture below is marked as 1. Click on the word ‘Messages’ to see who has written. You will also notice that I have highlighted the Facebook Page Notifications (2) and Insights (3). Notifications is where you see new likes, comments, shares, or mentions. Insights is where you will see your page demographics such as popular posts, best time to posts, liker demographics etc. Now head on over to the second part of this series to find out how & why Facebook is pushing Facebook Business Manager and why you need to use it anyway. If you would like to know more about the changes to the Facebook Pages or Facebook for Business please feel free to contact me. 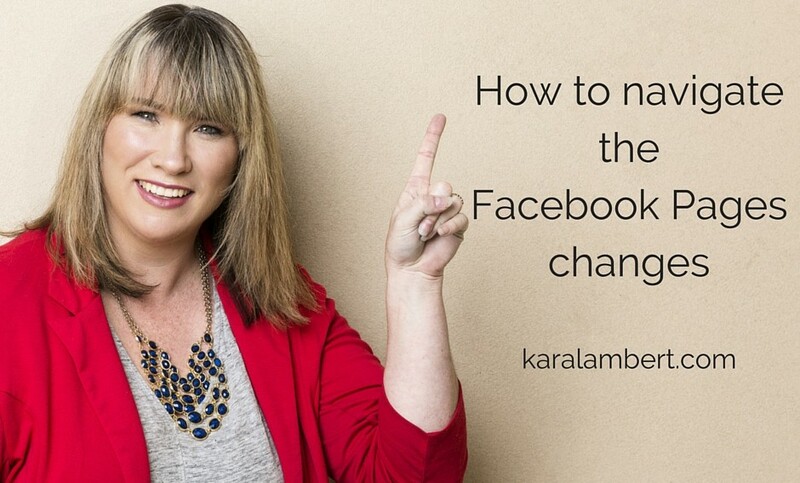 If you feel like you more people to like and see your Facebook Page, then I recommend my free Facebook Guide. If you are serious about growing your business online, then I would love to see you in my Mastermind Group.